Welcome to Seattle WA Paving! Commercial asphalt paving and Parking lot paving. ﻿​Seattle WA Paving is a commercial paving company located out of Seattle that services the metro Seattle area including Bellevue, Renton, Kent, Kirkland, Totem Lake, Fremont, Shoreline, Olympia, Bothell, Montlake, Edmonds, and more! We provide a full range of commercial paving services including: parking lot paving, concrete paving, asphalt paving, concrete curbing, parking lot repair, parking lot maintenance, parking lot seal coating, and more. We are a FULL SERVICE asphalt and paving company that works on small driveways, parking lots, and all types of services. If you need a new parking lot, driveway or any other paving service please let us know. We provide free estimates on how much your paving project will cost and the turn-around time for your project. We work on everything from new construction to repair, everything from small jobs to huge commercial projects. Thank you for the opportunity to serve and we look forward to talking to you soon! Why should you pave your driveway or parking lot with asphalt or concrete? ﻿​Asphalt surfaces have a lot of good qualities. There’s a reason you see it everywhere! Asphalt is affordable and practical. It’s not expensive, it’s durable, and it looks great. Asphalt pavement will last years. Asphalt is reliable. Unlike gravel, an asphalt surface will hold up against weather and will not erode. It takes years for asphalt to show any wear and tear and when treated regularly, you can maximize its lifespan. Asphalt paving doesn’t take long. You can have a brand new driveway in as little as one day. This new driveway can also do a lot for your home’s value with very little effort on your part. Asphalt is recyclable. Did you know that asphalt is one of the most recycled materials on Earth? It can be used over and over again for a multitude of purposes. On average, 99% of the material from old asphalt pavement is reused for new paving project! Material likes like scrapped tires and roofing shingles can be reused into new pavement mixes and other road-building! This kind of recycling prevents a lot of material from entering a landfill. The smooth surface of asphalt also improves the fuel economy of vehicle traffic! This is because tires experience less resistance when driving across an asphalt surface. Paved asphalt surfaces can also be designed to handle any load, from light residential driveway traffic to heavy commercial vehicles. Mixes are customizable to handle a particular kind of traffic and can even be made to absorb a lot of road noise and prevent water splashing. We offer many services for those interested in having a new asphalt pavement surface created. We service both residential and commercial clients of any size! Please contact us if you have any questions, our professionals will be able to assist you with inquiries about our services. We offer paving services for residential properies. We can do a completely new installation or repairs for your driveway or other surface! We take all of the correct precautions in preparing your asphalt driveway and we fully consider drainage and plant/weeds. We can provide asphalt services to businesses and organizations of any size. We can do new installation, repairs, and many other options including line striping and other markings to improve safety. We have provided quality work for retail shopping centers, small and large businesses, apartment complexes and homeowners associations, and more. A parking lot is a big investment, and one of our specializations! We can create a parking lot or perform maintenance on an existing lot, regardless of the size of the project. We provide our services to business of all sizes, from organizations and businesses to buildings like schools and churches. We can help you achieve the perfect driveway. We have driveway options for any budget and always offer our free onsite consultations to anyone interested in beginning a residential or commercial driveway paving project. We have many options available for your typical asphalt surface installation. We offer our paving services all around the Seattle, WA area as well as in the surrounding locations. If you're on a budget, a tar and chip surface might be a good option for you. Tar and Chip driveways are similar to asphalt ones, but the contents of the paved mixture is different. In normal asphalt mixtures, the contents are blended together beforehand, at a factory. Tar and chip mixtures, however, are reversed. The contents are blended together onsite, at the job location. They do have some interesting customization options though, and are as durable and reliable as asphalt. When constructing a new pavement, whether it's a driveway, parking lot, or anything else, it is important to be confident that the ground underneath is stable and level. Grading the land before applying any asphalt levels out the surface and reveals whether or not there are any more troubling obstables in the ground. If grading reveals any major obstacles, an excavation is in order. This process is done to remove major pieces of debris or large rocks from the ground. Water and liquid drainage is a concern with every paving project. Improperly preparing for water can lead to damage to nearby buildings as the liquid runs off towards the wrong direction. Water that pools excessively can also encourage cracks and bumps in asphalt paving. bumpers, and stops. Additionally, we can create poured concrete structures (ex: stairs). We don't have to outsource our concrete work, so that means that we can deliver a better turn around time (because we do not have to coordinate with an outside company) and better pricing (because we are already on site). 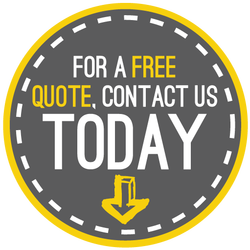 We offer free quotes and consultations for anyone in need of a paving service! Please reach out to us through our Contact Form or through this phone number (206-823-2240) and let us know if you have any questions! You are guaranteed a quick response from one of our professionals. ﻿Are you looking to maintain or repair an existing asphalt or concrete surface? We can advise you on how to best maintain your existing surface. Whether you need a patch, are looking to protect against future damage, or improve traffic conditions for drivers, Seattle, WA Paving can assist you. Our professional, licensed employees can speak with you onsite to help you determine what the best course of action is for your pavement. ​If you already have asphalt on your property, regular maintenance of that asphalt is important to maximize its lifespan. Performing an overlay or resurfacing is a great option for asphalt surfaces with minor damage. We will prep and clean the pavement before performing the overlay. On some occasions, when a surface like a parking lot is too old or cracked (sometimes referred to as 'alligatored'), it's recommended that the asphalt be re-paved completely in order to get the most stable, long-lasting value. Another option for those looking to maintain an existing asphalt surface is to get a sealcoat. A sealcoat is a liquid layer that's added on top of asphalt. It's a layer that protects the asphalt from the typical damaging factors--extreme weather (namely water damage), UV ray damage, oil and chemicals from vehicles, etc. We can offer personalized recommendations for sealcoats on residential or commercial pavement projects. ​Another service we offer to those with an existing asphalt structure is line striping, or painting road markings. Road markings like curb markers and parking lot stalls can do a lot to benefit a property. It helps you, your employees, and your customers navigate the road safely during good weather and bad. We also paint approved handicap parking stalls! Contact us today for more information.